Paint production is a profitable business and that is why those who started this business some years back are now multi millionaires. If you are considering venturing into this business you are on the right track and this post is for you. With the rate building are erecting in the country, paint production business is now more profitable that it has ever been. Old buildings are remodeling their structure to suit the new building and the new ones are making their building more attractive than the usual, different designs are been created by the day and this create more demand for paint that what it used to be. To start a paint production business there are some important thing that you must do because this business is not a joke. it is very serious. Paint production business is a capital intensive business. One of the first thing you need to have is a good and well written Paint production business plan. 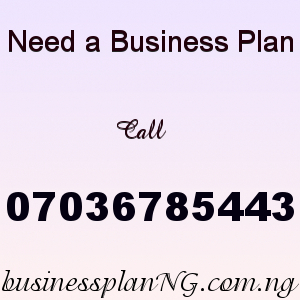 Business plan is like a roadmap for your business, it entails the marketing plan, strategy, financial projection etc that will give you the insight on how to run this business successfully and make more profit. In every business you want to start you need a the complete knowledge on how the business is run so before you invest into the business ask questions, visit paint producers for firsthand experience information but if that would be difficult, surf the internet like, get a good paint production business plan and study it for yourself to know all that is required of you and how you can a make the business grow. One good thing about a business plan is that it may not just be for you alone, you can show it to your investors because no one will want to invest his money without knowing about the business he’s investing in. So if you are just starting the business or you have already started a business plan will still help you and give you direction on how to grow the business. The next step to take is to register your business. For any business to be recognized legally in the country you must register it with the Corporate Affairs Commission, CAC. In a business like paint production you need to register the business with the Manufacturers Association of Nigeria, MAN, and with the the Standard Organization of Nigeria, SON. This are the appropriate body to register your paint production business with before your start to avoid your business from being shutdown. Location – You need a good location for the production of the paint. Paint production is not a business that you can do anywhere you need to get a location where people can easily locate you. When your location is not too far from the market it will make it easy for customers to patronize you because transportation is not far. If you can not get a place of your own you an rent a place, this brings me into the different scale at which you can do this business. There is large scale, medium and small scale. This fact is that it doesn’t matter how you start all you need is determination and in no time you will get to the top. There are different kinds of paint so to have a paint factory you need different kind of materials to make this paints. The material required for paint production is not difficult to get that can all be sourced locally. Below are some pf the basic things you need to produce paint. 1. Solvent – This can either be water, oil based or alcohol. The amount of solvent used determines the kind of acrylic or pigment to be used in the production process also this will determine whether the paint will be a water paint or oil paint. A good solvent allow the mixture of the pigment and acrylic maintain their colour and also evaporates when the paint is applied to any surface. 2. Pigment – This is the dry powdered base of the paint and it can be gotten in different colours. It can also be gotten as a solid so you can ground it to powdered form with the help of a grounding machine. This is what determines the end colour of the paint. 3. Acrylic – This is the paint texture determinant. It is mixed with the pigment in different proportions. There are other chemical that is needed in the production of paint but when getting the material of the paint ensure the you get the best quality material. Our sample Paint Production Business Plan in Nigeria can be used to access bank loans, proposal writing and grant applications. The business plan was complied after a thorough feasibility study on Paint Production Business in Nigeria was done. After you have made payment for your Paint Production Business Plan in Nigeria & Feasibility Study, send your email and payment details to 07036785443. Once your payment has been verified the Paint Production Business Plan PDF will be sent to your email.